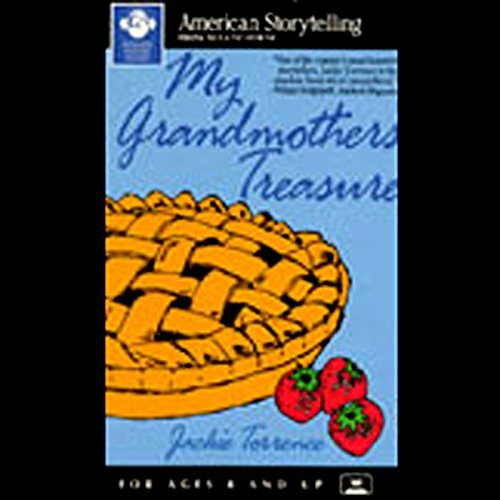 Jackie Torrence tells stories of her grandmother and other family members in this wonderful collection. The tales of stolen strawberry pie, the favorite apron, the memories of a special flower are each shared by Torrence with pride and affection. Her deep, melodious voice captures each nuance of expectation, delight and sadness. Her warmth and humor envelop the listener. Her deep chuckle is a particular joy. These very personal stories can meld with one's own family reflections, increasing their enjoyment. These memories of childhood will delight all ages - a family treasure. One of America's favorite African-American storytellers remembers her childhood in tender, unforgettable new stories. Jackie Torrence, a frequent headliner at the National Storytelling Festival, is known to audiences nationwide as The Story Lady. She has performed at The Kennedy Center, Wolftrap, Colonial Williamsburg, the International Children's Festival, the Chicago Blues Festival, and at Lincoln Center. You'll hear: "My Grandmother's Treasure", "The Big Cotton Patch", "Miss Maetroy's Flower Bed", "The Strawberry Pie", "My Granddaddy's Haint", and "The Funeral". ©1993 Jackie Torrence (P)1993 August House Publishers, Inc.
Great shortstories that left me in tears or lauging out loud! I just wish there had been more of them. Highly recommended! This book, beautifully read and with such heart, is a treasure in itself. With humor, real emotion, and experiences we can all relate to on a basic level, it demonstrates unforgettably the incredible value of remembering the lives of our parents, grandparents, and siblings. Without saying it straight out, it reminds us also that we are all, at our core, part of each other - good, bad, whether times are easy or tough. This is a truth both achingly simple and powerfully comforting. If you are a huge stickler for production quality, you may have a hard time getting used to the simplicity of this recording, but you'd be crazy not to let yourself get into it. It's absolutely wonderful. Enjoy! These are the kind of stories that my grandmother told and I really love and appreciate them now that I am 41. I wish that she would put out a lot of these audiobooks with her stories. They are magnificent.